Hang up the Christmas lights, blast The Clash’s “Should I Stay or Should I Go” and toast some frozen Eggo waffles because “Stranger Things” is out on Netflix and itching to be binged. Now, when “Stranger Things” first premiered in 2016, people were absolutely enthralled by the show’s nostalgic ’80s pastiche of sci-fi thriller, iconic D&D references, old-school fashion and music, and most importantly, the ensemble of outcast, bike-riding youngsters. Evoking a traditional ’80s period while extending into its own modern phenomenon, the series became like lightning in a bottle. A fearful suspicion followed; could the sequel live up to the howling success of its predecessor? In short, “Stranger Things” does not, but it is still nicely polished in a grand yet satisfying manner, catering to the popular ’80s zeitgeist. This follow-up is darker and — dare I say it — stranger. Following the gang’s discovery of the Upside Down and battle with the menacing Hawkins Laboratory, each member has grappled with post-seasonal trauma. One unexplored character, Will Byers (Noah Schnapp), also plays a larger, more ominous role as his lingering consequences from the Upside Down spastically and repeatedly transport him into the dreary dimension, exposing him to a towering, shadow monster. But, with renewed unity and a spiked baseball bat, the ragtag team of Hawkins attempt to permanently expel this new supernatural threat from infiltrating their home. 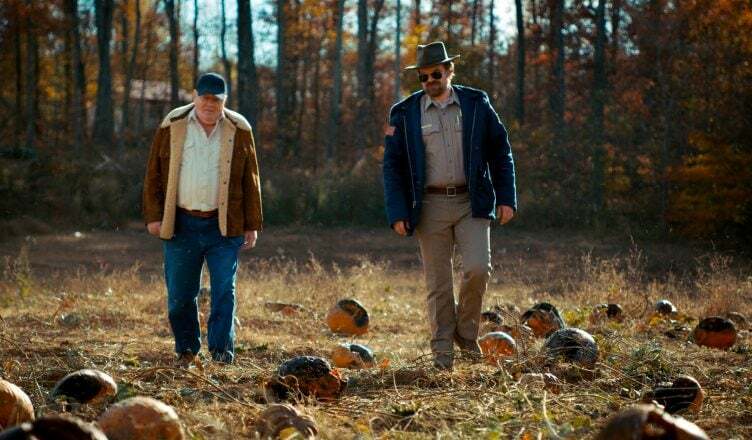 Each episode of the second season expertly fleshes out the world of “Stranger Things,” leaving us transfixed with the next twist and answer to the mystery. However, only one episode is out of place from the plot’s seamless choreography. This particular episode employs a drastic tonal shift, digressing from otherwise smooth narrative into a nail-biting, climactic moment, where all hell breaks loose for our Hawkins party. Just as the story turns awry and our heroes are backed into a corner, there is an unnecessary 45-minute break that tangents off into its own perfunctory narrative. It is a conspicuous hiccup, or more so a slight wrinkle, in an otherwise decent plot, but at the very least, it exposes the viewer to a society beyond from Hawkins, an ‘80s urban underground community with another band of misfits that will perhaps enrichen and converge future subplots. Although a fresh set of characters is introduced this season, including tomboy Max (Sadie Sink) and her meat-headed brother, Billy (Dacre Montgomery), their presence definitely does not direct the limelight away from our original, tight-knit group. Much of the show’s heart still rests on our emotional investment toward these established characters’ lives as we await to see Mike (Finn Wolfhard) and Eleven (Millie Bobby Brown) reunite or laugh at Dustin’s (Gaten Matarazzo) wisecracks toward Lucas (Caleb McLaughlin). As the story digs deeper, we concurrently recognize that these characters are not one-note personalities but layered individuals who surpass their archetypes. For instance, with Steve (Joe Keery) growing from douchebag jock to redeemed, sensible caretaker, we can recognize that “Stranger Things” attempts to do more than rehash old narratives. And with several odd pairings at the forefront this season, we can enjoy the possible dynamic and synergy between people of completely different social worlds and individual stories, which are also seen shining through the actor’s relations and charismatic performances. Paying homage to the ’80s cultural references, season 2 of “Stranger Things” retains a familiarity that is almost like a semblance of home for the older audience. But while it recycles common yet traditional themes, it also diverges into its own cultural thread for the younger generation. As the second season becomes self-referential in noting its own adherence to classic, cherished ’80s tropes of thriller-drama, the purpose of the series is clear: to freeze a quintessential time in place to enliven a similar, contemporary charm from a bygone era.